Following the announcement of the start-up competition in May, a total of 78 projects have been submitted, from which 10 teams were selected as finalists and from which four were selected as overall winners. The award ceremony took place at the Palais Brongniart in Paris as part of the Digital Industry Summit, where the winners were divided into the following categories: Smart Energy, Smart Building, Smart Product and Smart Plant. The jury, presided over by Claudie Haigneré (France’s first woman astronaut, ex minister and ESA’s CEO advisor) was made up of experts from Atos, Siemens, and the CEA, as well as several corporate directors from Total, ENEDIS and Bpifrance amongst others. Winner in the category Smart Building is Dizmo. The Swiss company developed a complete and flexible Interface of Things solution providing visual integration and data orchestration for smart buildings. Dizmo aims to bridge the gap between back-end infrastructures’ capabilities and user-facing front-end systems. Atos is a global leader in digital transformation with 120,000 employees in 73 countries and annual revenue of € 13 billion. Siemens France is part of Siemens AG, a worldwide technological group. With nearly 7,000 employees, 8 industrial sites and 11 R & D centers including 8 with global responsibility, Siemens France is actively involved in strategic sectors for the French industry. 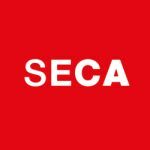 The French Alternative Energies and Atomic Energy Commission (CEA) is a public research organisation working in four main areas: defence and security, low carbon energies (nuclear and renewables), technological research for industry and fundamental research. With its 16,000 researchers and employees, it is a major player in European research and is expanding its international presence.